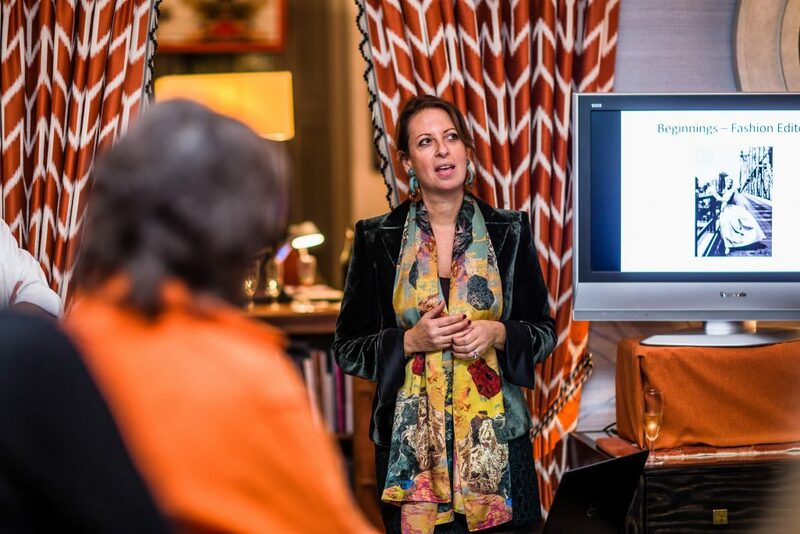 In November we welcomed Susi Bellamy to the showroom for a special evening event where she talked about her background, her inspiration and how her art has evolved into a successful design company. Susi’s beautifully illustrated talk covered the development of her artistic style over the years and how the different techniques have lent themselves to luxurious fabric designs. From her stunning wallpapers to her glamorous cushions and lampshades the vibrancy of her colour palette and the quality of her finish make these glorious embellishments for any room. While the original artwork of her icon collage prints proved a real show-stopper. 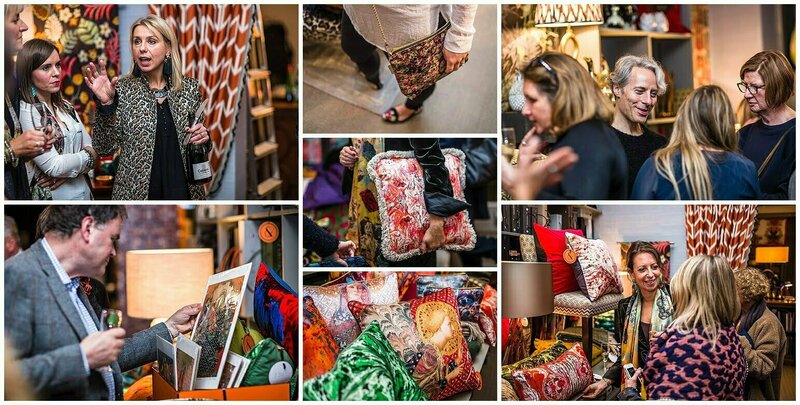 The evening was a great success with a fascinating Q&A session and plenty of time for guests to chat informally with Susi as well as to see, touch and buy her stunning range of accessories.